The GSNI is part of the Department for the Economy Northern Ireland (DfE). It is staffed by scientists of the British Geological Survey (BGS) under contract to DfE, which allows GSNI to call upon expertise from within other parts of the BGS. 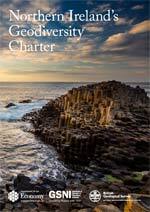 GSNI also advises other Northern Ireland government departments and liaises closely with the Geological Survey of Ireland (GSI). The Geological Survey of Northern Ireland (GSNI) provides geoscience information and services to inform decision making. GSNI holds an extensive archive of maps, boreholes and site investigation reports; detailed urban and regional geochemical and geophysical data, and publishes books, memoirs and reports. GSNI maps, models and monitors the ground we live on. Our geological research underpins decision making, promotes economic development and generates baseline data for environmental management.